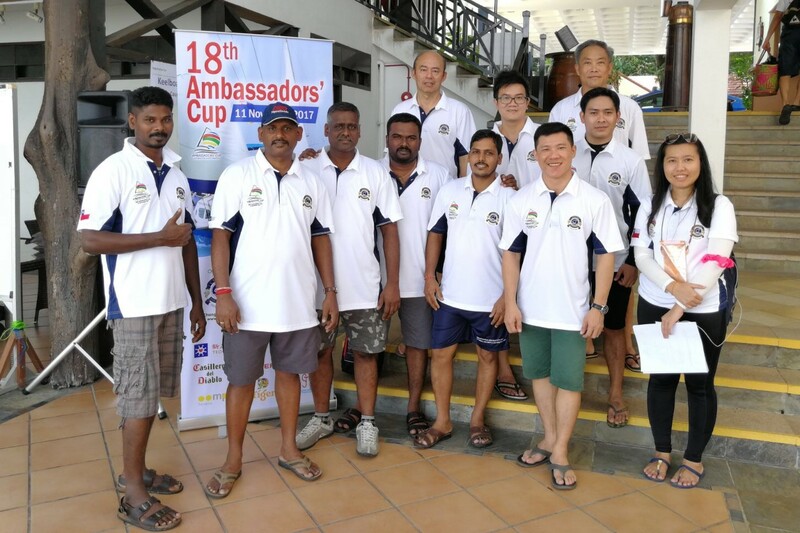 The Ximula team is back for our fourth time at the annual Ambassador Cup, held at Changi Sailing Club in Singapore. 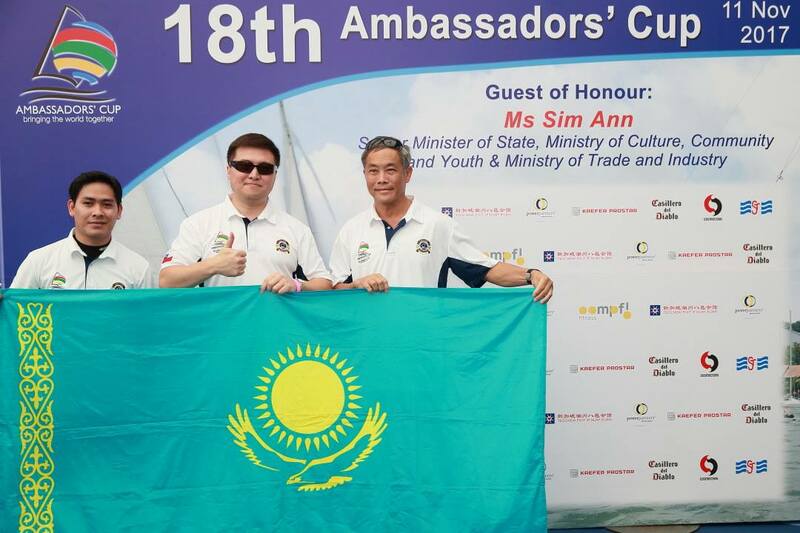 With the tagline “Bringing the world together”, 47 embassies have took part in the 18th Ambassador Cup, which is the largest number in the history of the event. This social sailing race will have each embassy paired with a race contestant through drawing lots. 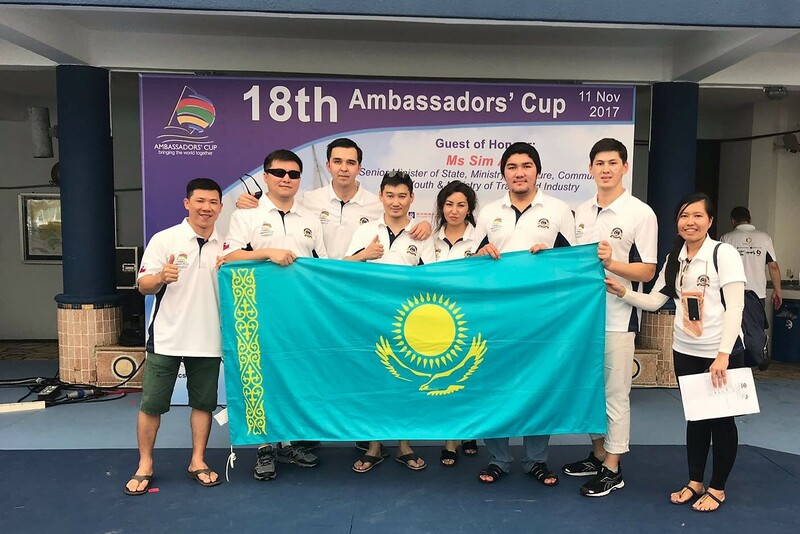 The Ximula team was miraculously paired with Kazakhstan again, whom we have paired with during our second time participating in the cup back in 2015! After some photo taking, the team and our Kazakhstan friends made our way to our sailing catamaran, XIMULA. The race began at approximately 1300hrs with ferocious wind, as 62 sailboats set off. As a result of the strong wind, all sailboats were travelling at great speed. Due to the conditions, every action is crucial and our Ximula team showcase their teamwork with every member playing their vital part. An hour into the race, the weather worsen as it started to rain. Although the team is drenched, we were not deterred and continue to stay within the pack. As we enter the second half or the race, the skies brighten up after the downfall. With the loss of wind, all the contestants were left to slowly drift along the course. The wind did not pick up for the rest of the race and the Ximula team and the majority of the contestants were forced to retire from the race. 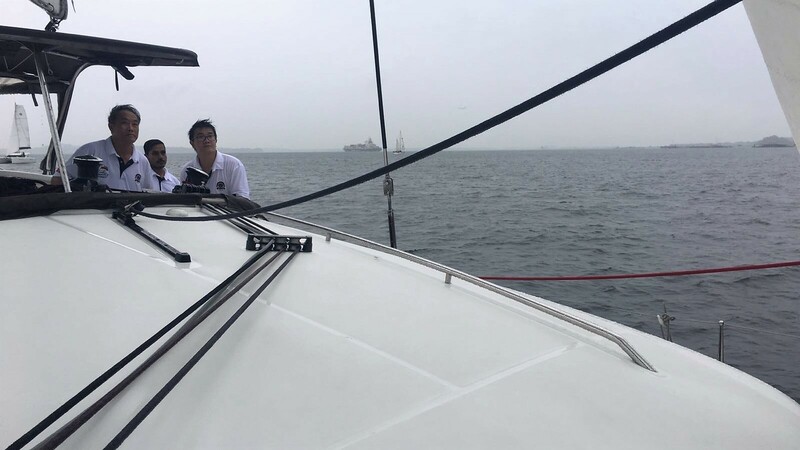 As XIMULA makes her way back to Changi Sailing Club with our engines, we picked up a stranded Beach Catamaran and tow them back to base. 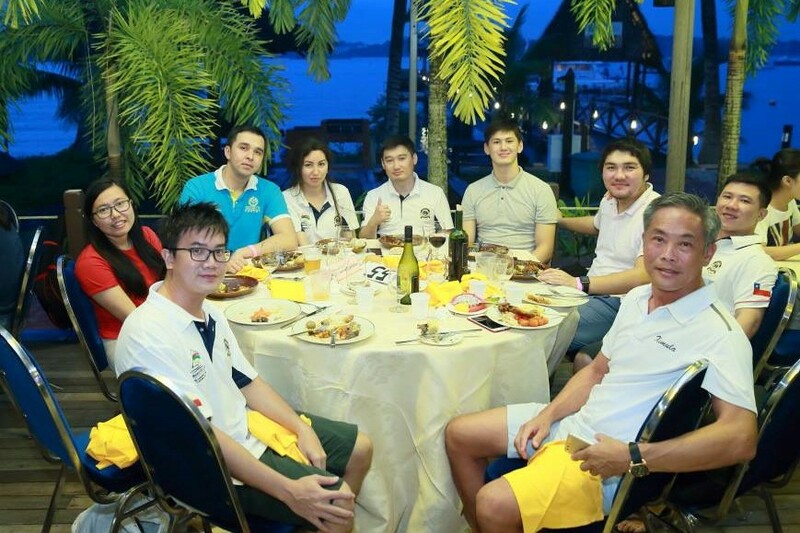 After all the contestants were back, dinner begin and everyone had the chance to mingle with the many multinational participants and share their culture. While it was a pity to not be able to complete the race, the Ximula team were still happy to have taken part and make many new friends! Till next year!